How many systems handle your data? You’ve probably got a CRM system, internal data management, marketing analytics tools, and maybe even more. If you use any of these systems, data validation is incredibly important for you. These systems enable you to use data much more efficiently, and they automate many data handling processes. This means that you can use your data more efficiently. But, this efficiency can be a bit of a double edged sword. If you feed bad data into these systems, the operating efficiency magnifies the effect of that bad data. A piece of incorrect contact data could get used several times before you detect it. If you inject several pieces of bad data into the system, things just get that much worse. So, what can you do about this? 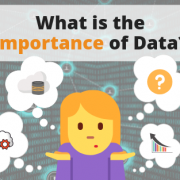 How do you validate your data without encumbering your data deployment processes? That’s what we’re going to dive into. As you may have guessed, data validation is a process, rather than a single, narrow task. There are a few steps, and different ways to validate your data. Here are three data validation techniques that will help you keep your data clean. You can do a certain sort of data validation in Excel and other spreadsheet editors. Spreadsheet editors have certain functions that ensure the data in each cell meets certain requirements. These functions are useful for ensuring that the data in each cell is formatted correctly, and not blatantly incorrect. For example, if you have a column that’s supposed to have first names, you can use the data validation functions of your spreadsheet editor to ensure that none of the entries have numbers or other wacky characters. The basic data validation functions can be accessed through the “Data Validation” menu in your spreadsheet editor. You can also add more advanced functions if you’re familiar with VBA programming. There are three primary data validation functions in the most popular spreadsheet editors: range check, type check, and check digit. Here’s a brief rundown of each function. The range check specifies a range of characters that are acceptable within a column or row. The range of acceptable characters can be something like 1 to 100 or A to Z. If someone tries to enter a character that is outside the specified range, the spreadsheet editor will prevent that data from being entered. Here again, if someone tries to enter information that doesn’t match the specified data type, the spreadsheet editor will reject the entry. The check digit is most useful for purely numerical data. A check digit is a number that equals the total of all the numbers in an entry. For example, if you had a cell with the entry 1234, the check digit would be 10, since all those numbers add up to 10. When you specify a check digit, any entry in that column or row must add up to the check digit total. In lists of personal data, this function has limited application. So, that’s all we’ll say about this one. For most personal databases, the range check and the type check are the most useful. These help you prevent and eliminate bunk entries on your lists. This way, your data processing systems (like your data validation API and batch processing service) won’t get jammed up by unrecognized characters or syntax. However, range checks and type checks do not identify whether or not the information is correct. A range check will ensure that you only have letters in your first name and last name fields. But they do not verify that the first and last name actually belong to the associated address, phone number, or email. That’s what a data validation API and batch processing are for. Validating your data through your spreadsheet editor cleans your data so that it can be processed. And you should certainly use these built-in functions before you use your data. However, you also need to make sure that your data is correct. For internal engineering and sales data, this is mostly a matter of calculation. But for personal data, whether internal or external, you need to check your data against an external source to discover inaccuracies. A data validation API enables you to integrate your external data validation service into your data management and processing systems. With a data validation API, validating your data adds zero additional steps in utilizing your data. You can also use a data validation API to validate data in real time as people enter it on data collection forms. 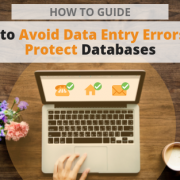 This prevents inaccurate data from entering your databases, and relieves stress on the teams who use your company’s personal data stores because they spend less time contacting dead ends and manually filtering data. 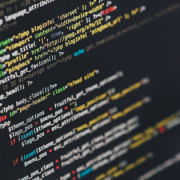 Using a data validation API typically requires very little coding or technical expertise. Most APIs use a unique URL to link your data processing systems to the external data validation service. Your data processing software simply sends personal data out for verification and cleaning before it uses the data. The process is transparent to your customers and your teams. Most CRM, data management, and data processing software supports API integration. Often, there’s even a point and click interface for integrating external services via API. 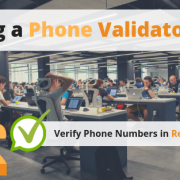 Using a personal data validation API keeps inaccurate addresses, email addresses, and phone numbers off your contact lists, and makes your data more valuable because it removes the bad data that causes operating inefficiency. Batch processing works very similarly to a data validation API. However, you need to upload your data to your external data validation service manually. No, it’s not as automated as using data integration with an API. However, it’s the only option for businesses that have no data processing system for data integration. You’ll upload your lists in a .csv, .txt, or Excel file. 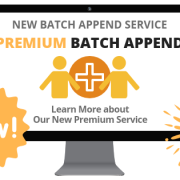 Most batch processing services will return the results in a comma-separated .csv file. Then, you simply reload that file into your database to start using your verified data. In addition to validating data and correcting errors, a data validation API and batch processing can also find missing data. 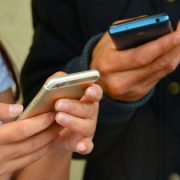 If you have a list of names and addresses, and you want phone numbers, your data validation service can get phone numbers for each name and address. This way you can create complete customer profiles and update the data on old lists, get information that people may have forgotten or omitted, and use your current databases to start using communication channels that you haven’t tapped yet. 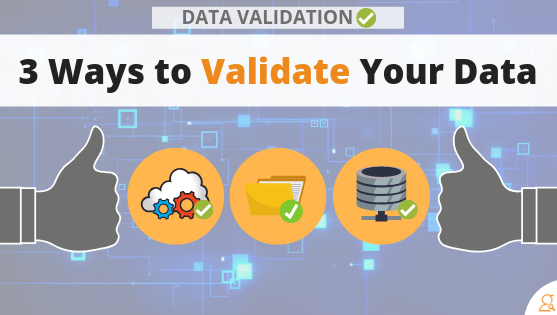 With these data validation tools, you’ll get the best ROI from your data and eliminate the data errors that make your sales, marketing, and product delivery operations inefficient. If you need data validation, we’ve got data validation APIs and batch processing to maximize the value of your data. Want more articles like this? Subscribe to our email newsletter.